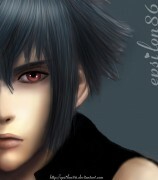 Finally, i manage to finish drawing his face. I think this is his final look.... But i will still work on his hair more. I will continue with this art in June. I still have to draw Stella. It is meant to be a couple art. I like how his eyes turn out.. I try to apply some texture to his skin by using a brush. I think the final effect is quite good. Hope u like this art! I spend alot of effort on it! Browse Final Fantasy XIII Gallery: Recent | Popular. Seriously astonishing work you got there, the realism is amazing and I have nothing but admiration for your skills. Thanks for sharing this epic art work! Mmm, it's nice. :) I like the new skin texture, though his nose still looks a bit flat on one side. I think you could also use shorter strokes in the eyebrows, more "across" the brows than longwise, more realistic. And like I said before, that shirt is like holy ****. 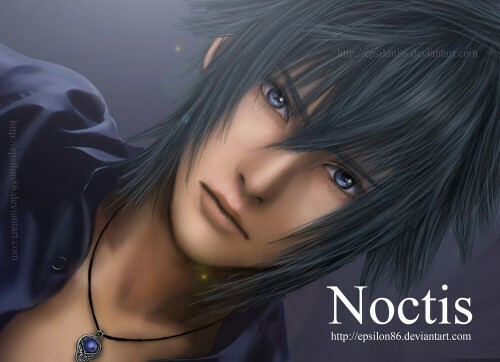 I really love Noctis and your draw it's very very good! I'll make it my fav! You are an awesome painter! R U Square Enix team member? Awesom vector! I love this guy! ????....?????? ???? ???! ????? ???????! ???????? ??????? ?????????? ????? !